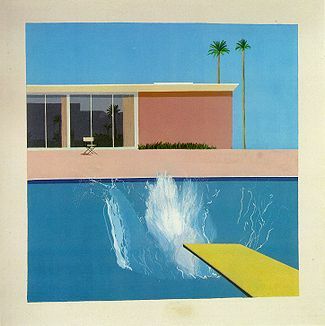 A Bigger Splash, David Hockney • Credit below. Setting up an LLC business doesn't take much time! ….That is, if you know what to do, what you need, and the right order of steps. Here's where I've got you covered. Below is the quick and dirty list. Detailed notes are at the bottom of the post. If you know your business name(s), the whole process takes about one hour. Go ahead, take the plunge! Click here to go directly to registration. You'll need your UBI to go on to the next steps. (Unified Business Identifier.) It's a lot like your social security number, in that it's a tax ID number assigned to you ... and banks and other organizations will ask for it to identify you. It'll be provided along with your LLC documents. Most often, it's in a 9 digit format. Sometimes it'll be in a 16 digit format, where there are 0s and 1s at the end, noting your "business ID" and "location ID". 3) Apply for your state business license. 4) Apply for your city business license. Cost: $110 for standard, $55 if you plan to make under $20K. That's it! You're in business. …but you're not quite done. To be legal, you need to ensure that you have all of the special permits and licenses for your line of business. EIN stands for Employer Identification Number. It's a tax ID number assigned to businesses by the IRS. If you are a sole prop or a single-member LLC, you are allowed to use your SSN for business purposes. Having said that, banks and online forms will often required you to have an EIN. The issue is that the number formatting is different. With your social security number, it looks like 000-00-0000. With an EIN, it looks like 00-0000000. Good news! It's easy, free, and only takes 10 minutes. Here's the link: Get EIN on IRS.gov. Or, go to IRS.gov and search for EIN. Heads up, this web service is only available during the daytime. 6) Do your due diligence. This is a list by trade, with links to relevant licensing agencies. Here's the list of Endorsements required by some businesses. And, at the city level, check the Regulatory Endorsements page. Another nice tool is the WA Business Hub. It's created to walk anyone through the setting up a business. There's a TON on there. * * Please note: The intent of this post is to get you started! And, to provide you with the required framework for every business. Your field may require additional permitting or specialty licenses not covered here. For best results, call the city or state. Mostly, you will have to put your name and address in a million times. Because, as a single-member LLC, you are the member, the manager, the agent, and registrar. You fill all the roles. Even though you will be a limited liability company, LLCs are handled along with the corporations. 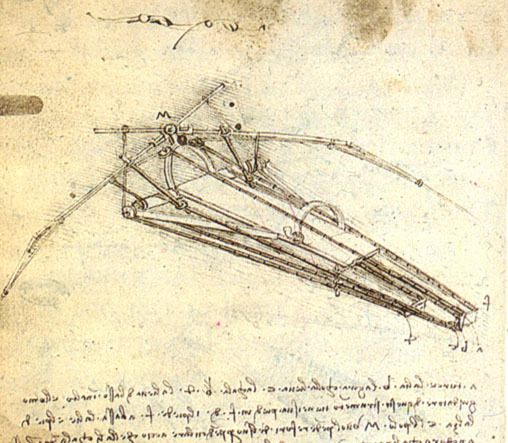 Opening a business as a sole proprietor is the quickest way to achieve lift off! ….Because, there is no business entity to create. In legal and tax terms, you and the business are the same. You simply to need to apply for some licenses, and possibly some permits. Making things official is a great way to build momentum. I encourage you to get your licenses at any time! You can work on the other things later. 1) Apply for your state business license. 2) Apply for your city business license. 4) Do your due diligence. * * Please note: The intent of this post is to get you started! And, to provide you with the required framework for every business. Your field may require additional permitting or specialty licenses not covered here. For best results, call the city or state, numbers above. • note: your legal business name will be the same as your name, to get a different name, you need to by a DBA, doing business as, also called a trade name. They are $5 each. • Sole Proprietor or LLC: Which is best for me? When you work for yourself, you fill two roles in one. The employee and the employer. In order to do this, you have to create a business entity that essentially hires you. It feels a little like make-believe play – All I want to do is my work! – but it is necessary. The two most common options are sole proprietor and limited liability company, or LLC. It is the first decision that you need to make, because it determines your legal status and name options. And, you’ll be asked about it right away when registering your license. In this case, you and the business are considered one in the same. There’s no real structure to set up or maintain. You simply are required to have licenses and pay taxes. It is free. There are no additional obligations, and no special benefits. Except that the paperwork is the most streamlined. There is a risk, though. If someone sues your business, they are suing you too. Meaning, if they win and you owe them money, it comes out of your personal accounts. In a worst case scenario, you’d have to sell your house or drain accounts to pay them. You can do business under a different name, called your trade name, or DBA, Doing Business As. For example, Jane Doe’s legal business name would be Jane Doe. She could do business as, Polka Dot Consulting. She just has to register this name, so her business activity is traceable to her legal name. These only cost $5 each. When you apply for your license, you can choose 1 or more. In this case, the business is a company that is separate from you. It offers a layer of protection. If someone sues your company and wins, then they can take company assets (not your personal ones). In my case, this includes a small business savings account, my computer, printer, and lots of great books. The idea is that your home and personal monies are protected. Having said that, it is possible to get around that protection – depending on the case and the lawyer. If you want to know more on the subject, I suggest meeting with a small business lawyer to share more about your specific situation. You must apply with the Secretary of State to be granted this entity. It costs about $200. And, you must renew each year on the anniversary month, for about $80. Concerning the IRS – Good news! A cool thing is that you don’t have to do anything different for the IRS! That is, if you are a single-member LLC. Because you are still a one-person business, and there’s no dividing of profit, the IRS lumps you in with Sole Proprietors. In fact, they refer to you as a “disregarded entity”. You are not regarded! You are ignored. This is great because it keeps your paperwork simple. In the end, both serve different purposes. Often - people who are tight on cash, or starting before they're totally ready, or intimidated by the LLC – choose sole proprietor. For others who have the money, and/or are really committed to their vision, tend to go for the LLC! You even get a certificate with borders and a golden seal to frame. If you have questions, please, get in touch. Click here to read a post on how to get licensed in Seattle. *Limited Liability Company, Limited Liability Co., LLC, or L.L.C.